A misdiagnosed sinus infection almost cost Mica her life – and left her with a collapsed nose. At age 15, Mica developed migraines, light sensitivity, and bloody noses. One morning she woke up with a painfully swollen nose, and within days all of the cartilage in her nose had disintegrated. After months of doctor visits and misdiagnoses, Mica was finally diagnosed with Wegener’s Granulomatosis – a rare disorder that causes inflammation of blood vessels in nose, sinuses, throat, lungs, and kidneys. “It has a 90 percent mortality rate, and life expectancy is five months,” Mica explains. A three-year fight for her life followed. She developed pneumonia and was placed in three medically induced comas because she couldn’t breathe on her own. Months of intensive physical therapy followed to recover her speech and mobility. She was just beginning to recover when she lost her mother to cancer. 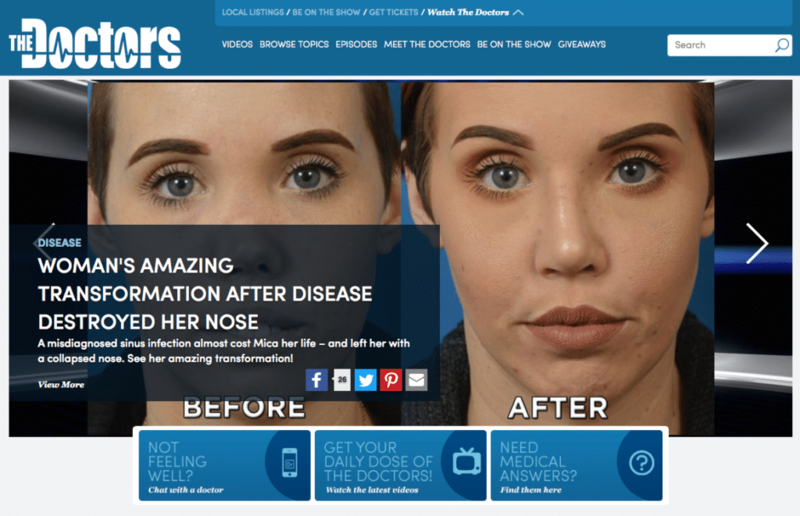 Now the 26-year-old has been in remission for more than five years, but she is still taunted about her nose. “It makes me feel like that’s the only thing people can see,” Mica says. 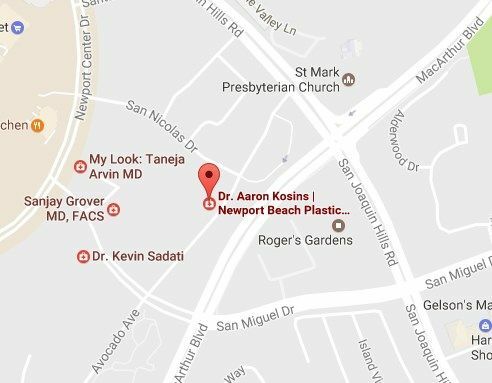 Plastic Surgeon Dr. Aaron Kosins tells The Doctors that reconstructive surgery was unusually risky because of Mica’s condition. “She only had 40 percent of her lung capacity,” he explains – if she developed pneumonia post-surgery, she’d need a lung transplant. Her main airway has been narrowed by the disease, so that there was a chance she couldn’t have a breathing tube placed for surgery. “Now that you have a beautiful nose and you’re breathing a little easier, we have one more surprise for you” announces. Dr. Stork. The Montage Laguna Beach has offered Mica a two-day, three-night stay by the seas, including dinner and breakfast, and spa treatments – it’s a $5,000 value! “You deserve to enjoy life a little bit!” concludes Dr. Stork.